Changes in Our Trading Schedule during the Holiday Season. Please note that during the period from 24/12/2013 to 02/01/2014 trading conditions and margin requirements are subject to change. Furthermore, there may be periods of decreased liquidity in the market for certain trading instruments during these dates. Templer FX reserves the right to switch instruments traded with low liquidity into "Close only" mode or to temporarily freeze trading on these instruments without prior notice if necessary. Templer's 2013/2014 Christmas and New Year Bonus Campaign. All current and new Templer clients are eligible to take part in Templer's 2013/2014 Christmas and New Year Bonus Campaign. Qualifying clients earn a 10% bonus credit on all deposits between December 16th 2013 and January 24th 2014 up to a cumulative bonus amount of $2500 per account. In addition to Christmas and New Year Bonus ,Templer FX is happy to inform that with every subsequent deposit made (any deposit after your initial deposit) we will be crediting our clients with a 1% Loyalty Bonus for each trading year with us! That is up to 20% (21.5% for Bank transfers) Bonus on every single deposits between December 16th 2013 and January 24th 2014! As a result of our ongoing efforts to increase client support level , Templer FX is happy to inform that new service of SMS support has been introduced lately. Just save the number +44 750 7333565 to your cell phone contacts and let us know if need any help. Please note that outgoing SMS rates vary by mobile network. Celebrating 20th anniversary of Rietumu Bank Templer FX is happy to introduce new “Bonus Bank” campaign. Qualifying clients earn a 15% bonus credit on all deposits between November 18th 2013 and November 29th t 2013 up to a cumulative bonus amount of $2500 per account. Please note that Bonus is granted to bank wires to Rietumu Bank only. The “ Bonus Bank” is intended for trading purposes and will enable clients to support their positions for a longer period as well as give clients the option to trade a larger volume. All current and new Templer clients are eligible to take part in Templer's 2013 Autumn Bonus Campaign. Qualifying clients earn a 10% bonus credit on all deposits between September 30th 2013 and October 1st 2013 up to a cumulative bonus amount of $2500 per account. In addition to Autumn Bonus ,Templer FX is happy to inform that with every subsequent deposit made (any deposit after your initial deposit) we will be crediting our clients with a 1% Loyalty Bonus for each trading year with us! That is up to 20% (21.5% for Bank transfers) Bonus on every single deposits between September 30th 2013 and October 1st! 1. Subject to the Terms and Conditions set forth hereinafter (the “Offer Terms”) and Templer FX’s General Terms and Conditions of Business, Clients that meet the criteria set forth hereinafter (“Eligible Clients”) will be eligible for a LOYALTY CREDIT BONUS equal to 10% of all subsequent deposits (other than such Eligible Client’s first deposit in his or her live Micro, Standard or Mini Account with Templer FX) that are made by the Eligible Client in his or her live Micro, Standard or Mini Account(s) with Templer FX from the 12st of September 2013 onwards (the “Loyalty Credit Bonus”). 2. The Offer Terms set forth hereinafter form the basis of the “2013 Loyalty Credit bonus” promotional offer, whereby Eligible Clients of Templer Holdings Management Limited (“Templer FX”) may be rewarded with a loyalty credit bonus to their live Micro, Standard and Mini Accounts (the “Offer”) when trading CFD’s on these accounts, subject to these Offer Terms (the “Loyalty Credit Bonus”). 3. Taking part in this Offer constitutes acceptance of these Offer Terms. Templer FX is authorized and regulated by the common BVI law, and reserves the right to alter, amend or terminate this Offer, or any aspect of it, at any time and without prior notice. Templer FX reserves the right to make changes to these Offer Terms and will notify you of these changes by posting the modified Offer Terms on the Website. Templer FX recommends that you revisit these Offer Terms regularly. Please not that by your continued use of the Templer FX Website and the services offered by Templer FX you accept any such modified Offer Terms. 4. Templer FX reserves the right, at its sole discretion, to disqualify any individual that tampers or attempts to tamper with the operation of the Offer, or breaches the Offer Terms and/or any of Templer FX’s Terms and Conditions of Business. 5. Any dispute or situation not covered by these Offer Terms will be resolved by the Templer FX management in the manner it deems to be the fairest to all concerned. That decision shall be final and/or binding on all entrants. No correspondence will be entered into. 6. If any of these Offer Terms were to be translated into a language other than English, then the English version of these Offer Terms shall prevail where there is an inconsistency. 7. Subject to, and without prejudice to, all other Terms and Conditions of Business, the Offer is available to Templer FX Clients who have satisfied the Eligibility Criteria for the Offer (“Eligible Client”) as set out in the Sections following hereinafter. b. that the Client must elect to opt-in to take part in the Offer by expressly confirming his or her decision by sending email to support@templerfx.netwith subject “Loyalty bonus” and Templer FX reserves a right to decline a Client’s Loyalty Credit Bonus application at its sole discretion. Without the need to provide any justification or explaining the reasons. 9. Subject to all other Terms and Conditions of Business, any Loyalty Credit Bonuses due to an Eligible Client will be equivalent to 1%( per each trading year*)of all subsequent deposits (other than the Eligible Client’s first deposit in his or her live Micro, Standard or Mini Account with Templer FX) that are made by the Eligible Client in his or her live Micro, Standard or Mini Account(s) with Templer FX from the 12th of September 2013 onwards. 10. The maximum of all Loyalty Credit Bonuses awarded to any particular Eligible Client cannot exceed a total of USD 2,500.00 (or currency equivalent) aggregated over all of an Eligible Client’s live Micro, Standard or Mini Accounts with Templer FX. 11. Loyalty Credit Bonuses will be credited to Eligible Clients’ live Micro, Standard or Mini Account(s) with Templer FX, in each instance, within twenty-four (24) working hours after a subsequent deposit (other than the Eligible Client’s first deposit in his or her live Micro, Standard or Mini Account with Templer FX) is made by an Eligible Client in his or her live Micro, Standard or Mini Account(s) with Templer FX. 12. Loyalty Credit Bonuses may be used for trading purposes only and cannot be withdrawn unless covered by the minimum volume**. 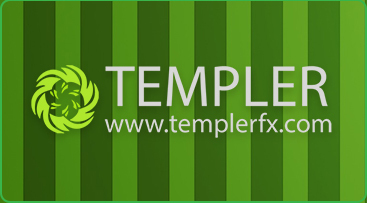 Profits from trading on live Micro, Standard or Mini Account(s) with Templer FX can, however, be withdrawn anytime. 13. Clients may make as many deposits as they wish into as many of their live Micro, Standard or Mini Accounts in order to qualify as an Eligible Client. 14. Any withdrawal of funds before covering the minimum volume from an Eligible Clients’ live Micro, Standard or Mini Account(s) with Templer FX will immediately nullify all previously awarded Loyalty Credit Bonus(es) and will cause all previously awarded Loyalty Credit Bonus(es) to be withdrawn from the respective Eligible Client’s live Micro, Standard or Mini Account with Templer FX. 15. Internal funds transferred between trading Accounts with Templer FX are not considered as a new deposit and, therefore, do not qualify for the awarding of a Loyalty Credit Bonus. 16. Loyalty Credit Bonuses cannot be transferred between, or from Eligible Clients’ trading Accounts with Templer FX. 17. Any indication of fraud, manipulation, cash-back arbitrage, or other forms of deceitful or fraudulent activity in an Eligible Client’s live Micro, Standard or Mini Account with Templer FX or otherwise related or connected to a Loyalty Credit Bonus will nullify all of the Eligible Client’s live Micro, Standard or Mini Accounts with Templer FX and any and all transactions carried and/or profits or losses garnered therein. 18. No partner’s commissions are paid for trading Loyalty Credit bonus funds. 19. This Offer will remain in effect for as long as Templer FX deems fit to provide it, based on the Offer Terms outlined herein. Templer FX reserves the right to modify or cancel this Offer at its sole discretion at any time. 20. Loyalty Bonus is given independently on other Bonus campaigns. 21. It is important the Eligible Clients are aware that their risks are not limited to their deposit(s) and that by making a qualifying trade it is possible to lose more than the deposit. In some circumstances, losses may be considerably more than any initial or minimum deposit. 22. These Terms and Conditions are dated March 21st, 2013 and will enter into effect with respect to all subsequent deposits that are made by Eligible Client in their respective live Micro, Standard or Mini Account(s) with Templer FX (other than the first deposits made by Eligible Clients in their respective live Micro, Standard or Mini Account with Templer FX), from the 21st of March 2013 onwards. All current and new Templer clients are eligible to take part in Templer's 2013 Summer Bonus Campaign. Qualifying clients earn a 10% bonus credit on all deposits between July 3rd 2013 and August 9th 2013 up to a cumulative bonus amount of $2500 per account. All current and new Templer clients are eligible to take part in Templer's 2013 Spring Bonus Campaign. Qualifying clients earn a 10% bonus credit on all deposits between April 1st 2013 and may 3rd 2013 up to a cumulative bonus amount of $2500 per account. Dear Customer, Our typical spreads have been lowered up to 70%. Enjoy your trading with more liquidity and less spreads.